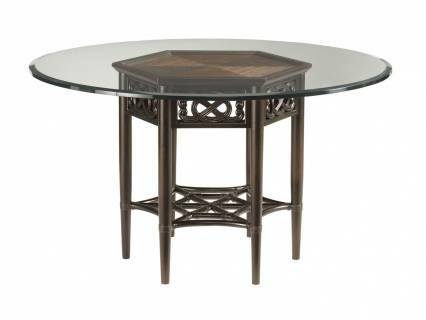 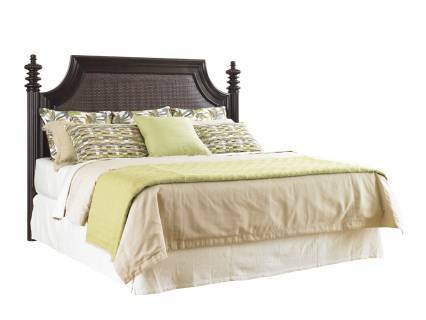 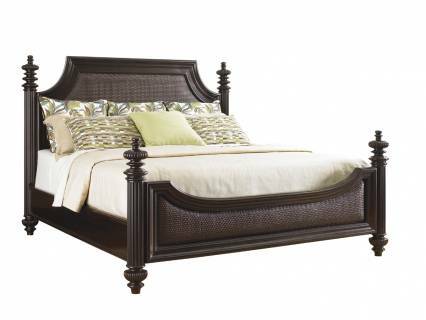 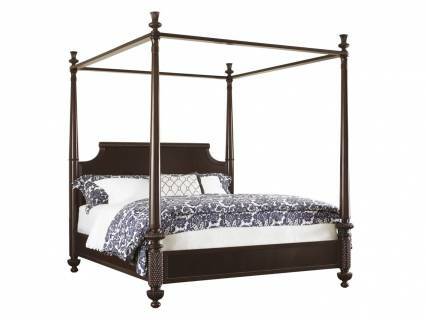 Designs are crafted from Ribbon Stripe and Quartered Mahogany veneers in an elegant dark Kona finish. 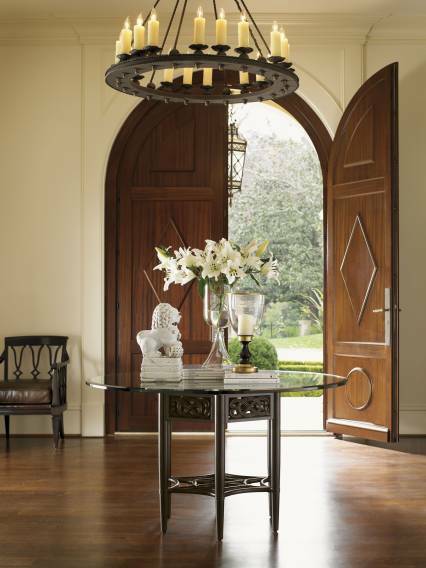 Custom hardware, with exquisite detailing, is finished in bronze with a soft aged patina. 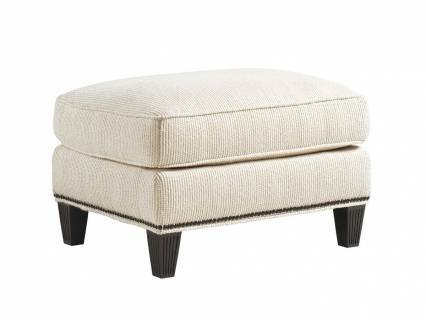 Upholstered seating features hand-carved frames and dramatic fabric correlations.